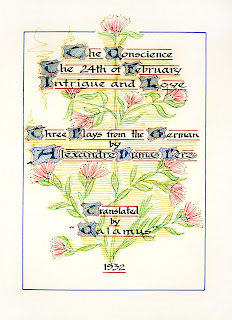 At the Dunedin Public Libraries’ Reed Gallery, there is currently an exhibition showcasing the letters and manuscripts collected by the Dunedin publisher, Alfred Hamish Reed (1875-1975) over a sixty year period. Our Will and Pleasure: Royal Autographs, Letters & Memorabilia of the British Monarchy covers the seventeenth century through to the early twentieth century and includes items written or signed by members of the royal houses of Great Britain from the House of Stuart to the current House of Windsor. The exhibition is timed to coincide with the wider events marking the Diamond Jubilee of Queen Elizabeth II. It is also available as a rich online exhibition detailing the individual case items, along with excerpts and background information and high resolution zoomable scans. Back at Auckland Libraries, there is a link to AH Reed through his older brother Frank Wild Reed (1874-1953) and the collection he donated to Auckland Public Library. 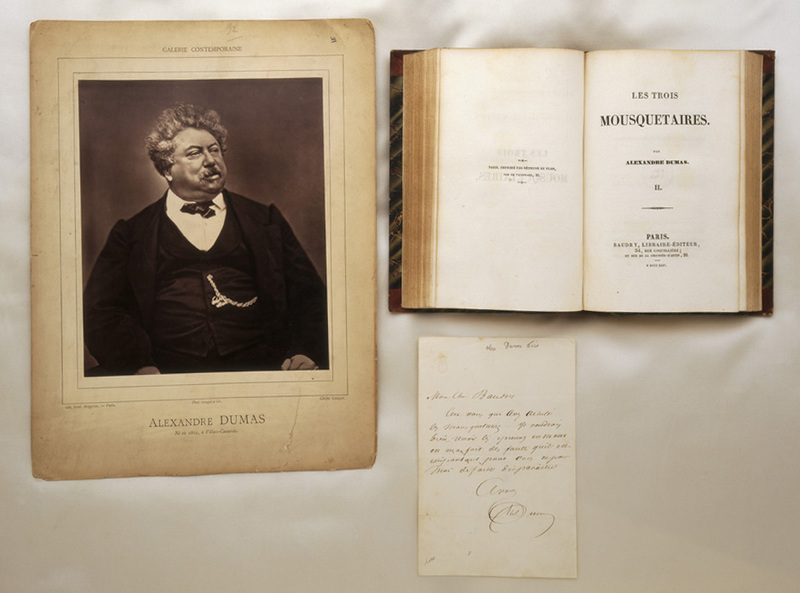 Though a pharmacist by trade, FW Reed was a passionate collector of book and manuscripts, particularly those relating to the French playwright and novelist, Alexandre Dumas (1802-1870). Over the years, from his base in Whangarei, FW Reed searched the world through book sellers’ catalogues and sought out anything relating to Dumas, creating the largest Dumas collection outside of France. This collection is now housed in the Sir George Grey Special Collections at Central City Library. ﻿FW Reed even taught himself French so that he could read and translate Dumas’ works not available in English. 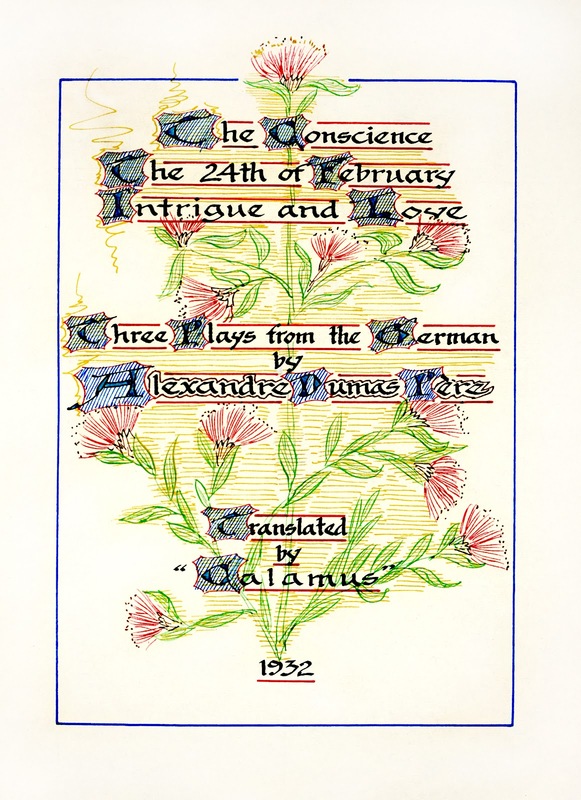 His brother, AH Reed provided the hand drawn frontispiece for the translated plays, which FW wrote under the name "Calamus". The Reed Dumas collections outlined below can be accessed through the Library catalogue. For manuscripts, search by Call number "RDMS". For more information on Reed and his Dumas collection, check out the Real Gold online exhibition and Donald Kerr’s article and thesis. 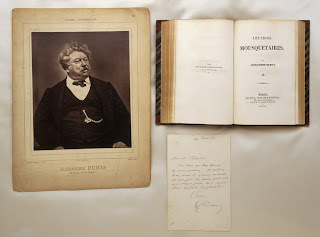 And to find out more about Dumas himself, have a look at the website of The Friends of Alexandre Dumas, available in both English and French.